For most of us, it’s entirely logical that medical practitioners should be familiar with the latest scientific knowledge and evidence-based practices in order to treat ailments. This forms our fundamental basis of trust in medical professionals. If your doctor suggests a CT scan or drug X, you follow that advice on the basis of trust. So how would you feel if your doctor confesses that he lacks the latest scientific information about your condition? That he can prescribe a drug but is not sure if it is the best treatment? Before long you would be consulting someone else. But what if you live in sub-Saharan Africa, where the vast majority of medical personnel, as well as scientists, researchers and medical students, remain badly deprived of the latest medical developments? Not because they lack access to the internet, but simply because they cannot afford to pay for access to information. This is the harsh reality today. Subscription paywalls make access to essential information impossible. 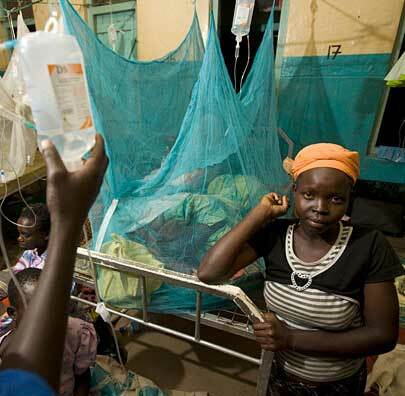 Malaria kills between 0.7 and 1.2 million people annually, mostly young children and pregnant women in Africa. Today, more than 800 million people live without the fear of malaria in countries where the risk of contracting the disease was once significant. This shows that it can be eliminated, perhaps even globally as happened with smallpox. 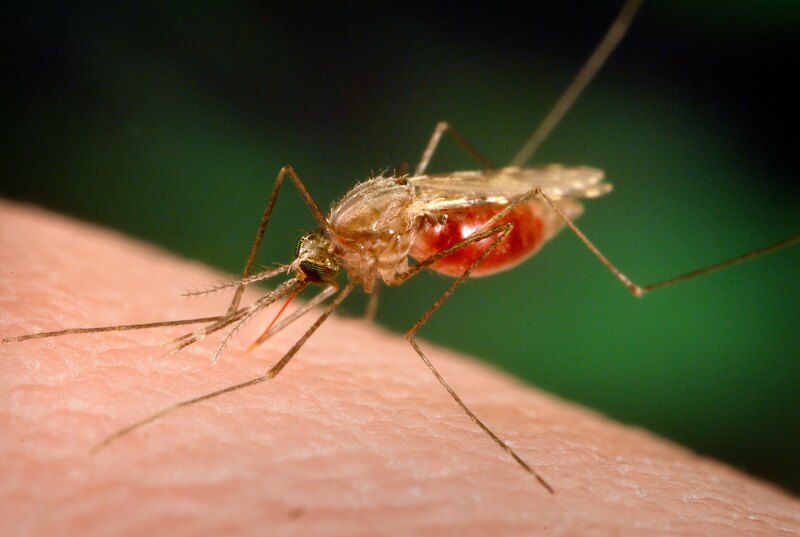 But in the tropics, where malaria still reigns, nature remains way ahead of our efforts: parasites constantly evolve and develop resistance to curative drugs and mosquitoes do the same, making our meagre armature of insecticidal sprays laughable. 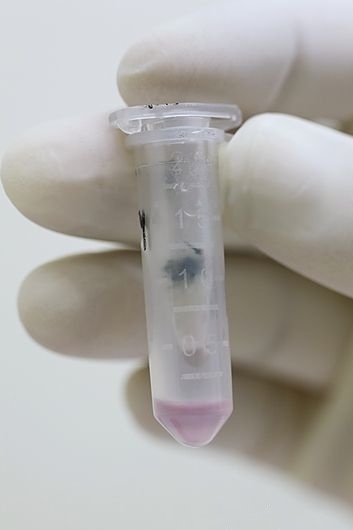 And so a malaria industry has ensued, involving an estimated 8,000-10,000 scientists around the world, their research fuelled by millions of dollars from funding bodies and the search for new and creative ways to end this menace. From vaccines to novel drugs, from proteomics to anthropological fieldwork, from genetically-engineered mosquitoes to climate change effects, the malaria research machinery runs overtime, producing nine scientific articles every day. That’s more than 3,000 new pieces of information each year, all in pursuit of solving the giant malaria puzzle. Why does scientific knowledge take so long to find its way into day-to-day treatment? One would assume that this volume of scientific insight would be visible in the real world of malaria control — but a closer look reveals a surprising truth. The controversial insecticide DDT continues to be sprayed in many developing countries, though it was banned in the USA and Europe in the 1970s because of environmental and health concerns. Alternatively, millions of African children are covered with mosquito nets, often coated with insecticides, as they sleep. Although these methods have saved countless lives, resistance to both DDT and pyrethroids, the insecticides used for net impregnation, is spreading across Africa at an unprecedented rate. But why, when the global scientific community produces more than 3,000 articles on malaria each year, are these older methods being so heavily relied on? A decade ago, when the three genomes of the malaria players (human, parasite and mosquito) became available, there was huge optimism that a whole new arsenal of tools would emerge. It didn’t. Why is valorisation of new scientific information — the process of making knowledge useful for society at large — so painfully slow, if not absent? A recent survey of malaria research articles published in 2010-11 showed that 48 per cent were open access and so could be read without payment. But that also means that every second article had restricted access, requiring some form of payment to access. Those working in well-endowed academic institutions in the north don’t even notice this paywall in their day-to-day mining of scholarly material. But for scientists in the south this is crucial. If you can’t afford to pay, you can’t read. Another survey revealed that three-quarters of malaria professionals based in Africa and Asia often can’t read beyond an article’s abstract. Only two per cent never experience access problems. The net result is disparity in knowledge, which is a double whammy for southerners, as they live in countries where malaria kills daily. Taken one step further, this disparity can be seen as a prime reason why so few scientists from developing countries become global players in the public health arena. It is simply too hard for them to work on par with the West and on the forefront of scientific endeavour when always lagging behind in knowledge acquisition and utilisation. Publishers argue that the HINARI Access to Research in Health Programme initiative, which they set up jointly with the World Health Organisation, provides free access to content for institutions in developing countries — but this only applies for as long as the GNI per capita remainsbelow US$1,600 a year. That’s tough for South Africa and Gabon, and recently even Bangladesh became too “rich” and its free access threatened. Out of academics surveyed from Africa, South America and Asia, 41, 79, and 92 per cent respectively claimed never to use HINARI or were not even aware of its existence. Dr Peter Murray-Rust, a molecular informatics specialist at the University of Cambridge, claimed that HINARI “is nothing more than the crumbs of charity” and that publishers don’t give access to their content — it’s academics’ content that is given for free. It is certainly true that we scientists have been submissive to the oligopoly of academic publishers, which claims ownership of our work, often through transfer of copyright. By allowing it to be locked up behind paywalls, we have helped academic publishing to become one of the most profitable businesses today. Because the lack of access to scientific research diminishes the communication of knowledge and creates disparities between those who have access and those who don’t, effective application of new knowledge to ongoing research is hindered, as is much-needed change in policy for better malaria control in the field. And with scientific publishing having become the end point for research rather than the starting point for change in the real world, academics have come to grips with a system where lack of access to work no longer matters. “Publish or perish” still dominates over “publish for impact”. Can we justify withholding information from those who need it most? And there’s a further question to be asked: is it morally and ethically acceptable to run a business based on withholding information from those most in need of it? Do we accept that lack of access to scientific information leads to poorer health care and that sub-optimal health care costs lives? In a survey conducted by MalariaWorld, a scientific and social online network for professionals in the field, more than three-quarters of researchers based in the developing world not only considered limited access to be unethical, but also felt that it could potentially cost lives. But the world is finally waking up. Elsevier, one of the world’s leading academic publishers, has received a painful blow since the launch of the global petition thecostofknowledge.com, which encourages scientists to stop submitting manuscripts to Elsevier, stop reviewing manuscripts submitted to their journals and discontinue any editorial work with the publisher. As of July 2012, more than 12,000 scientists around the world had signed the petition. This “academic spring” was fuelled by prohibitive journal subscription rates, Elsevier’s lobbying against open access and the cost of accessing material behind the paywall (downloading a single article costs on average US$30). When Harvard University’s Winston Hide published his resignation as associate editor of Elsevier’s journal Genomics in the Guardian in May 2012, it became international news. “No longer can I work for a system that provides solid profits for the publisher while effectively denying colleagues in developing countries access to research findings,” he wrote. The day I read Hide’s letter I handed in my resignation as editorial board member for Elsevier’s journal Acta Tropica. The open access movement has grown massively. But often with this model, the source of the profit comes from the authors themselves, who pay to have their work published. Once again we are faced with a situation where those in the northern hemisphere can cover publication costs relatively easily, yet developing country scientists are stuck because they cannot afford to pay to publish in open access journals (this cost frequently exceeds US$1,200 per submission). When they do decide to pay, they must use funds that would have otherwise gone towards further research. More than 60 per cent of respondents to the MalariaWorld survey based in developing countries considered open access publication costs to be “high” or “too high”. When they are unable to cover these costs, researchers are destined to return to closed access publishers with the knowledge that their peers may never see their work. When living in Zambia, Tanzania, and Kenya over a period of 11 years, my wife and I witnessed first hand how the lack of access to scientific information about malaria hinders progress. It inspired us to set up MalariaWorld. What started out as a small-scale effort grew into a free service now reaching more than 7,500 professionals in more than 140 countries. MalariaWorld provides daily updates of newly-released scientific articles, publishes editorials and expert opinions, hosts discussion forums, stimulates debate and encourages networking so research can be practically applied. In 2010, we launched a true open access journal, the MalariaWorld Journal , where academics don’t pay to publish and don’t pay to read. We call this “open access 2.0”. We cover the costs of editorial work and online publishing simply by tapping financial resources from parties other than authors or readers. A grant from the Netherlands Organisation for Scientific Research has enabled us to cover the cost of publishing the next 90 articles. When it comes to malaria, both restricted and open access publishing have serious negative implications for those working in developing countries, creating disparity and inequitable distribution of knowledge. This negatively affects the quality of healthcare, which is likely to cost lives. It’s not surprising, therefore, that across the developing world, more than 95 per cent of our survey respondents agreed or strongly agreed to the statement: “Scientific articles on malaria should be available for free to all in need of it”. It is high time that academic publishers rethink the ramifications of their business model. I feel the urgent need to respond to the comment by Richard Gedye, where he seems to take on the task of defending HINARI. There are many more people who like Bart think that HINARI has failed. In my opinion the main thing wrong with HINARI is, that it is not dealing with Open Access. HINARI is primarily about restricted access to knowledge, where the North keeps control over the South. In HINARI powerful Toll Access publishers control the flow of information from the north to the south, and it has much more to do with the preservation of conventional publishing businesses than with sharing of information in order to promote development. For instance with regards to the withdrawal of free access to 2,500 medical journals for Bangladesh, Kimberly Parker, programme manager at HINARI, said that the decision to withdraw free access was not unusual practice once publishers start to secure “active sales” in a country. Another important point is that HINARI only grants free access to non-profit institutions (not to individuals) in certain countries. If you’re an individual clinician, researcher, or teacher who cannot access one of these approved non-profit institutions, you can not make use of HINARI. In addition many countries in the developing world are barred from HINARI because they don’t fulfill the strict criteria of the organization. institutions in those countries that qualify for free access, are banned from reusing the literature, and thus the HINARI project simply does not meet the definition of open access. As coordinator of the @ccess initiative I want to emphasize the point that we adhere to the single definition of open access as free and completely unrestricted access to information as desrcribed by the Budapest Open Access Initiative (BOAI).Traditional, restrictive copyright laws apply to the articles that can be accessed via HINARI: the project prohibits readers from reproducing, sharing, or translating the materials—a particularly severe obstacle in countries in which Internet access is unreliable. This basic difference between free Access as provided by HINARI and Open Access means, that HINARI effectively prevents scientists in developing countries from participating in the scientific enterprise and in doing so it also obstructs the road to development, innovation and prosperity for those countries. Open Access on the other hand, is all about participation, free sharing, reusing of information. For this to become a reality,the traditional toll access publishing business has to be replaced by an open access publishing infrastructure. In a recent blog, Eve Grayprogramme director of the Scholarly Communication in Africa Programme , wrote “the question [is] of whether we are seeking access to or participation in the production of global literature. Which policy path would most effectively give voice to research from Africa, largely silenced in the current system? Access to world literature is also important, but is inadequate on its own, risking perpetuating a neo-colonial dispensation that casts the dominant North as the producer and the developing world as the consumer of knowledge. And a bit further, she goes on to say that “While the road to prestige and rankings is delivered largely through the commercial journal system, the way to social and development impact is surely through open access”. This is also my point: open access to all scientific publications is the only way that we can ensure that scientists from developing countries can participate fully in the shaping of science, establishing their own priorities and make use of all the opportunities that come with having access to up-to-date information. This will make all the difference in the world in the battle against poverty and diseases and also against corruption and mal-governing especially for people in the developing countries. I would like to reply to the recent commentary article of Dr Knols. I agree with Dr Knols regarding the importance of making scientific publications freely accessible to scientists in developing countries. There are a number of ways Elsevier helps achieve this. First of all, as has been noted here by Richard Gedye, Research4Life (of which HINARI is a major component) provides free or low cost access to thousands of institutions in developing countries. Elsevier was a founding partner and is the biggest contributor of content (with over 3.1 million downloads last year alone). We also offer other initiatives to promote access to research on malaria. Two years ago, Elsevier launched the Malaria Nexus (http://www.malarianexus.com/) website which aims to provide free access to much of the latest research on malaria published in Elsevier’s leading journals. Every month, approximately 20 articles published in Elsevier’s journals are made freely available to registered members (registration to the website is also free). Since its launch, Malaria Nexus has made over 200 articles freely accessible to the malaria community, including all the latest high-impact malaria publications from our top journals: The Lancet, The Lancet Infectious Diseases, Cell Host & Microbes and Trends in Parasitology. Articles are selected by me, a PhD holding molecular parasitologist by training, and by recommendation by our Editors, themselves leaders in the malaria research community. Moreover, news items about the latest malaria-related developments/events and interviews with key leaders in the field are also frequently posted on the website and are available for free. In addition to Malaria Nexus, Elsevier last year launched The International Journal for Parasitology : Drugs and Drug Resistance (IJP:DDR) (http://www.journals.elsevier.com/international-journal-for-parasitology-drugs-and-drug-resistance/). IJP:DDR is an open access journal that publishes work on drug identification, development and evaluation, and parasite drug resistance and as such has featured many articles on malaria, written by leading researchers. I believe that with initiatives such as Malaria Nexus and IJP:DDR, we are addressing the need to ensure that Elsevier’s leading content is freely accessible to the malaria research community in developing countries. We will have further information resources launched in the next few months. I read with great interest Bart Knols’ article on the challenges facing developing world physicians who are attempting to apply current best practice in prevention and treatment of malaria, and the challenges facing researchers who are attempting to develop new treatments and approaches ( “The Case for Open Access”, 30 August 2012). My interest was aroused partly in the context of my previous 20-year experience working with the scientific journals programme of a prominent University Press and partly in the context of my current role managing publisher participation in the HINARI programme on behalf of the international Association of Scientific, Technical & Medical Publishers (STM). Bart rightly points out that recovering the costs of publication from either authors or readers may be a workable model in the more developed world, but is more problematical in the developing world, and so I am delighted that he has managed to launch his Malaria World Journal with grant funding which will cover the cost of publishing the first 90 articles at no cost to either authors or readers. I do hope that this arrangement works out to be sustainable over the longer term. Over my 20 university press years we found that recovering publishing costs from grants was occasionally viable for a start up, but that most grant arrangements were either offered explicitly as one-offs or were vulnerable to changes in key staff, policies, or funding priorities at the relevant funding organisation. One medical research open access journal which we launched in 2004 with grant funding that allowed us to offer free access to both authors and readers, had to revert to the more conventional open access model of levying author publication charges a few years later when the grant was not renewed. My experience to date is that that recovering publication costs from either authors (and their funders) or readers (and their institutions) tends to be both more scalable and more sustainable. In which case it is clearly desirable for “northern” hemisphere publishers to put in place cross-subsidy arrangements whereby revenue from authors and readers in wealthier countries underwrites publication or subscription costs for those in poorer countries. To the best of my knowledge all the major open access publishers offer to waive author publication charges for authors in developing countries, while all the major subscription publishers of scientific research participate in the HINARI scheme for providing free or deeply discounted access to their published research in the developing world. Every model for recovering publication costs has its strengths and weaknesses and the HINARI programme, like any other charitable endeavour, is not perfect as Bart rightly points out. It is unfortunate, nevertheless, that his comments on HINARI’s gap between “good” and “perfect” could lead less well-informed readers to the conclusion that HINARI has been by and large a failure in its mission to reduce the knowledge gap between industrialized countries and developing countries by providing free or very low cost access to critical scientific research, including research from journals whose current business model seeks to recover the costs of their services via a charge on readers or their institutions. •	HINARI brings the contents of more than 8,500 peer-reviewed scientific journals and up to 7000 books to researchers in the developing world. For 78 of the world’s poorest countries subscription charges are waived, while for a further 28 countries they are discounted by over 99%. •	Over 5000 institutions are registered for access to content available through HINARI. •	71 of the HINARI journals are specifically focussed on infectious diseases and a search across all the HINARI journals on the term “malaria” returns over 24,000 results, the most recent of which (Artemisinin-resistant Plasmodium falciparum in Pursat province, western Cambodia: a parasite clearance rate study) was published in the Lancet Infectious Diseases just three days ago. •	A survey which formed part of a 2010 commissioned review of the user experience of HINARI revealed that more respondents (24%) cite HINARI as a source for life-science and medical research than cite any other source, while more respondents (32%) cite HINARI as the source they use most frequently. •	More than 150 publishers worldwide participate in HINARI and no publisher has withdrawn from the programme since it began in 2002. Those for whom figures such as those above seem a little dry and impersonal may like to look at our case studies booklet Making a Difference (http://www.research4life.org/competitionbook), which provides some examples of how access to HINARI-facilitated content has transformed the lives of individuals and communities. Reading through these case studies again brought home to me a simple truth: campaigning for free access to all research output, courtesy of different business models which reallocate the costs involved, may well bring benefits to the developing world at some point in the future. But in the meantime HINARI has been bringing access now, with demonstrable benefits delivered now – when they are needed. HINARI’s distribution of all this valuable content, and its significant outreach efforts in the form of training in the use of the material and the mechanisms for discovering it, is supported by teams of committed and motivated individuals within WHO and Yale Universities as well as in more than 150 scientific publishers worldwide (both profit and non-profit). We know we are not perfect and we know that there is more to be done to raise awareness of HINARI among beneficiary communities and potential beneficiary communities, and supplementing that awareness with further training in information literacy skills. We wish Bart all the best with his own endeavours and we hope, that while criticising ours when resource and other issues means that it fails to achieve all its goals immediately, he may also see fit to mention, on his clear and impressively designed Malaria World web site, that the full text of many of the thousands of its links to original research published in subscription based journals is available to many in the developing world if they first log in their HINARI account or register for an account if they do not already have one. You are dead right. Being from the South I faced every hurdle as you have stated. I have spend sums of money to buy books and read papers of well known researchers to train and educate myself. Quality science should be made accessible. Rest can remain locked to a few.